Curse is a gameplay mechanic in Dark Souls and Dark Souls Remastered. It is a debuff status effect and one of the auxiliary special effect and a damage type. It is a debuff status effect and one of the auxiliary special effect and a damage type.... 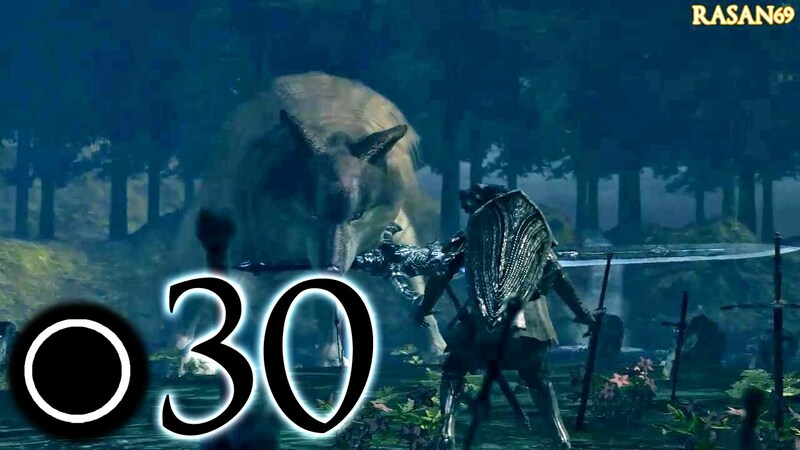 The Hydra is a Mini-Boss in Dark Souls. Hydra Information. 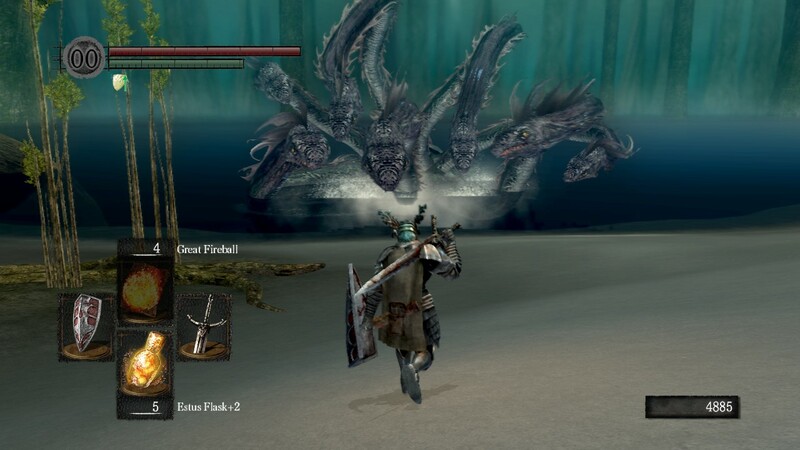 Situated in a shallow lake at the very end of Darkroot Basin, lies a 7-headed Hydra. As if the challenge wasn't daunting enough, you are required to slay four Crystal Golem in the woods before the lake, all the while being shot at with water projectiles, by none other than yours truly. 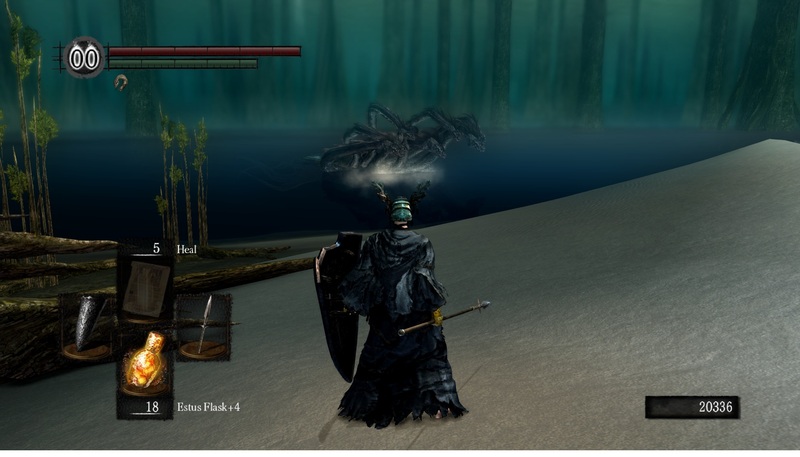 Kill Hydra with three R2 BKH Black Knight Halberd attacks. Drop the Demon's Great Hammer and Warpick inbetween Hydra cycles. Drop the Demon's Great Hammer and Warpick inbetween Hydra cycles. Moveswap and quitout in front of the Golden Golem in order to spawn it. You have to kill the Hydra first. Once the Hydra is dead, leave Darkroot Basin completely (or reload the game) and come back. Go all the way into a cave behind where the Hydra was to find the yellow golem. Kill the golem, and Dusk will be free.